Use Flubaroo to Grade your Quiz! 2. Take the quiz and answer with all the correct answers to create the answer key. 3. Assign (share your quiz). 4. 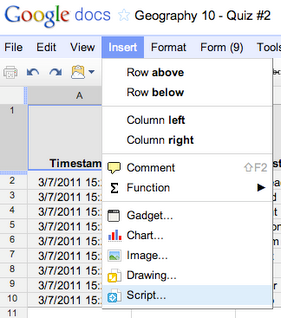 Open the spreadsheet associated with your form... you will see the student results. 6. Search in the script menu for "Flubaroo" and then click "install. 7. After Flubaroo is installed it will appear in the menu bar. 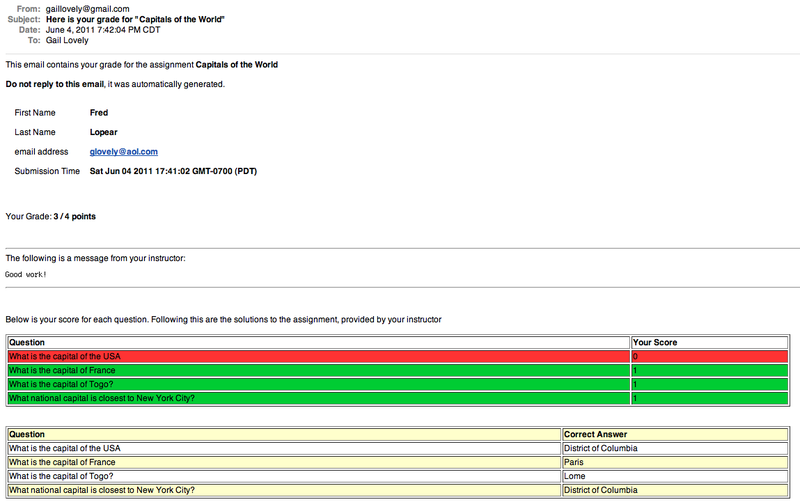 Click on "Grade Assignment"
8. 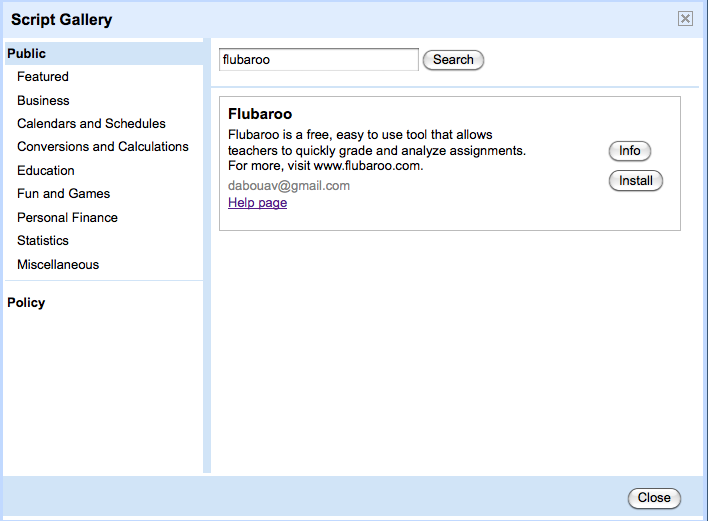 Flubaroo will ask you some basic questions, for example, you can choose not to grade some questions. 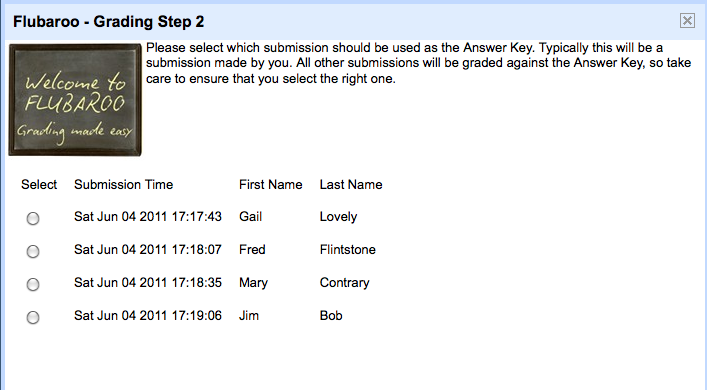 You will also notify Flubaroo which answer set is the answer key. 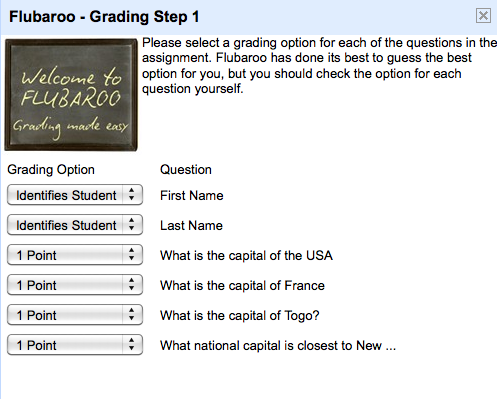 If more students take the quiz later you can go back to the Flubaroo menu and choose regrade quiz. Additionally, if you had students add their email addresses as one of the test items you can have Flubaroo email the scores to the students.